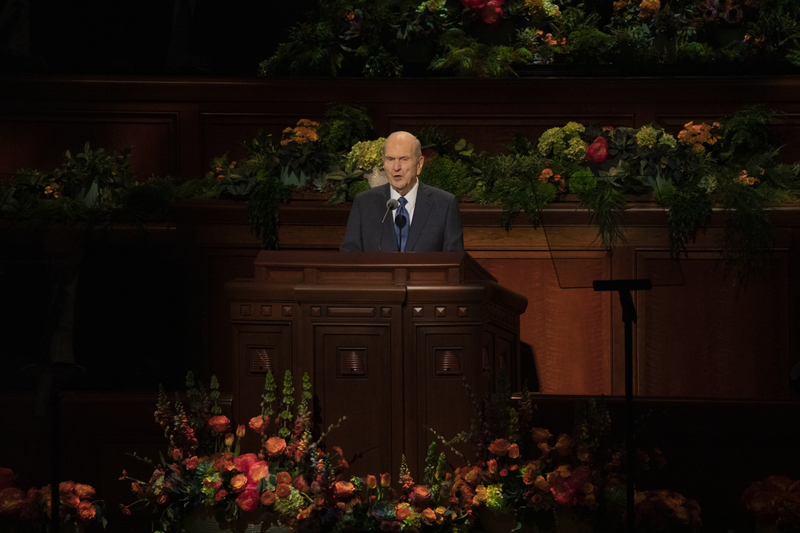 In the Sunday Morning Session of general conference, Elder Dale G. Renlund gave a talk on how we receive blessings from God. 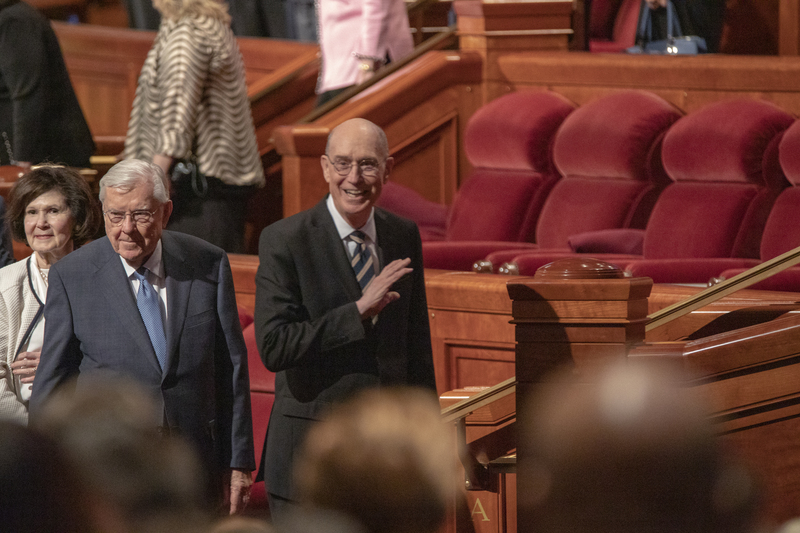 “If a desired blessing from God has not been received—yet—you do not need to go crazy, wondering what more you need to do,” Elder Renlund said. 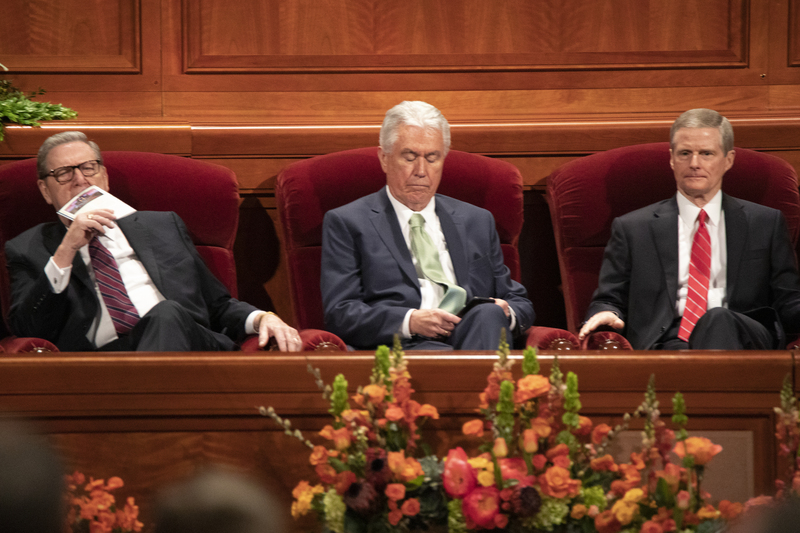 “Instead, heed Joseph Smith’s counsel to “cheerfully do all things that lie in [your] power; and then … stand still, with the utmost assurance, to see the … arm [of God] … revealed.” Exercise faith and wait on the Lord so that He can do His part as well even if we don’t get blessings now. 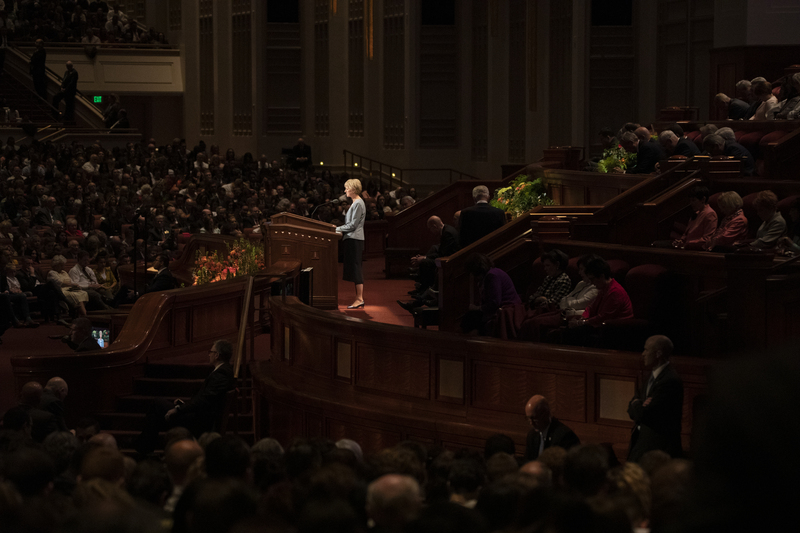 Sister Sharon L. Eubank talked about Christ, the light that shines in darkness. When there is darkness in our lives, we have to turn to Him to be able to see the light. 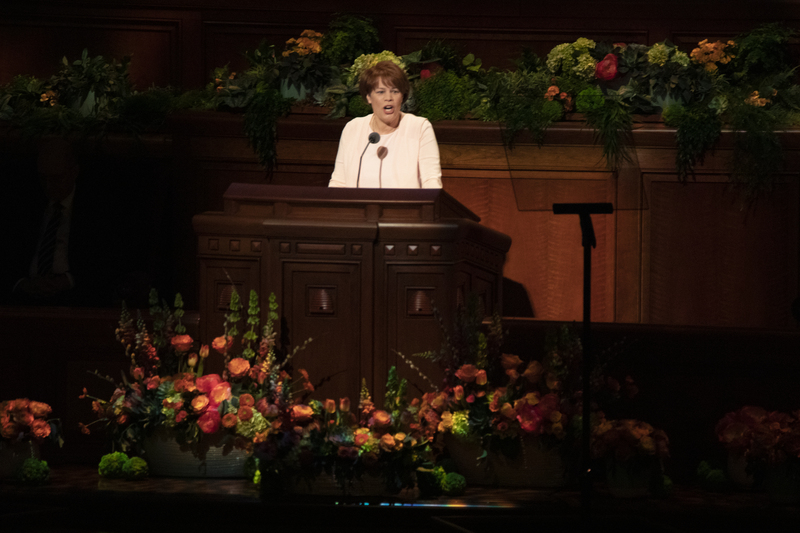 “We can help each other by showing up in person, recharging our spiritual batteries, repairing what went wrong,” Sister Eubank said. She said we can’t go through this life alone; we need to make Christ the center of our lives, because He is always with us. Elder Quentin L. Cook spoke about having great love for our Father’s children. 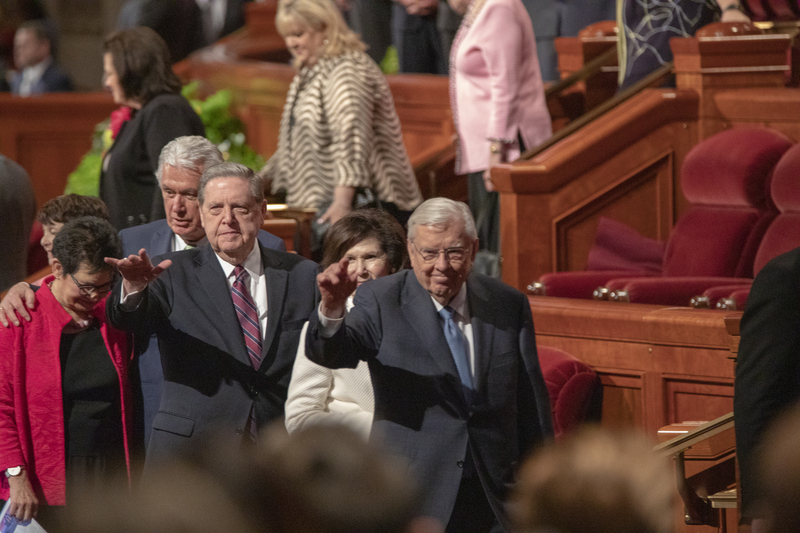 “When it comes to gathering Israel, we need to align our hearts with this kind of love and move away from feelings of mere responsibility or guilt to feelings of love and participation in the divine partnership of sharing the Savior’s message, ministry and mission with the world,” Elder Cook said. Love is the center of all, and our purpose is to prepare eternal families and individuals to live with God by teaching in the home. 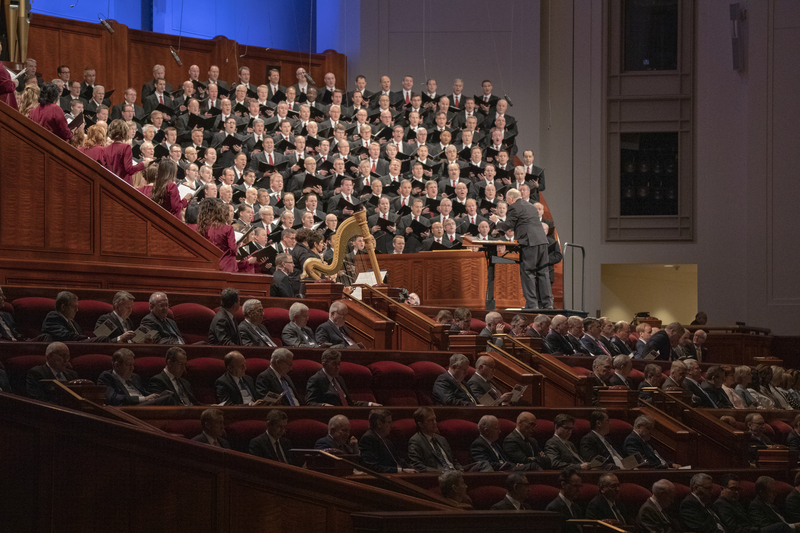 Elder D. Todd Christofferson talked on how we can prepare for the Lord’s return, which is when Zion will truly return to the earth. However, we can have Zion here now. 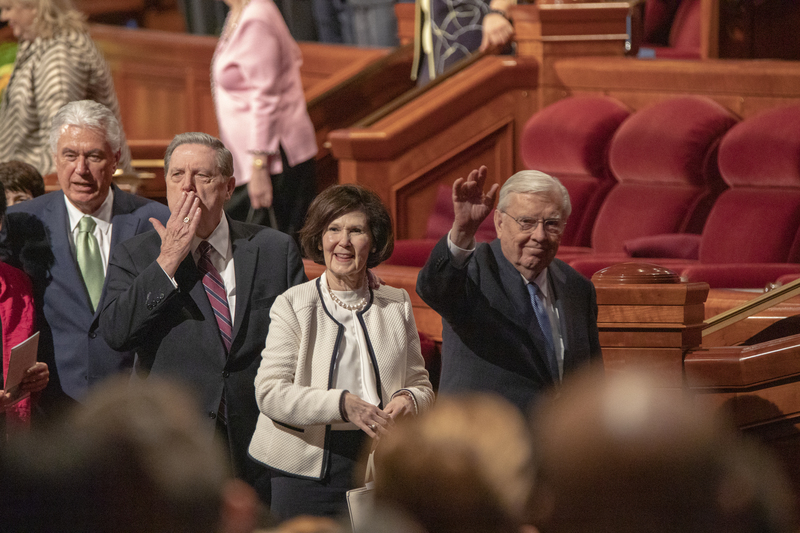 “Zion is the pure in heart, a people of one heart and one mind, dwelling in righteousness with no poor among them,” Elder Christofferson said. Zion is built up in the homes, wards, branches and stakes. 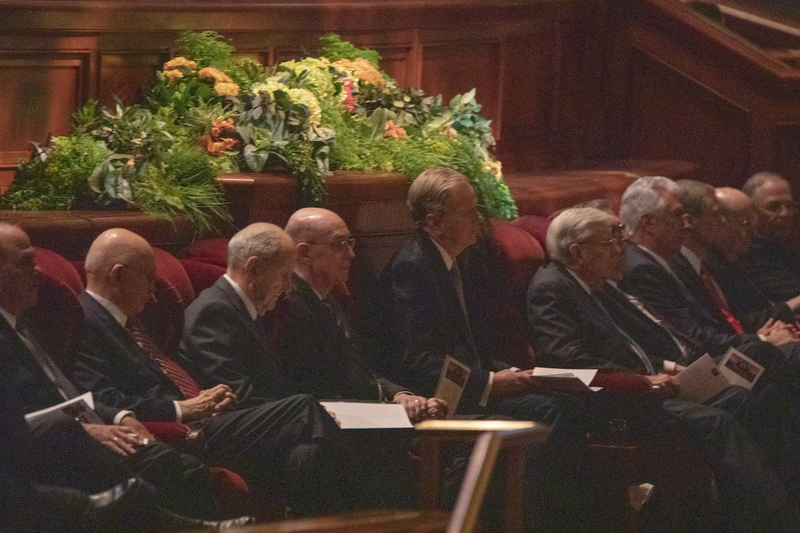 After Elder Christofferson, Tad R. Callister gave a talk on the Atonement of Jesus Christ. The purpose of the Atonement was to return us to our Heavenly Father one day. There are four obstacles that can prevent our spiritual progress: death; sin; afflictions and infirmities; and weaknesses and imperfections. Despite these obstacles, we can be spiritually healed and our sins forgiven through the Atonement of Christ. 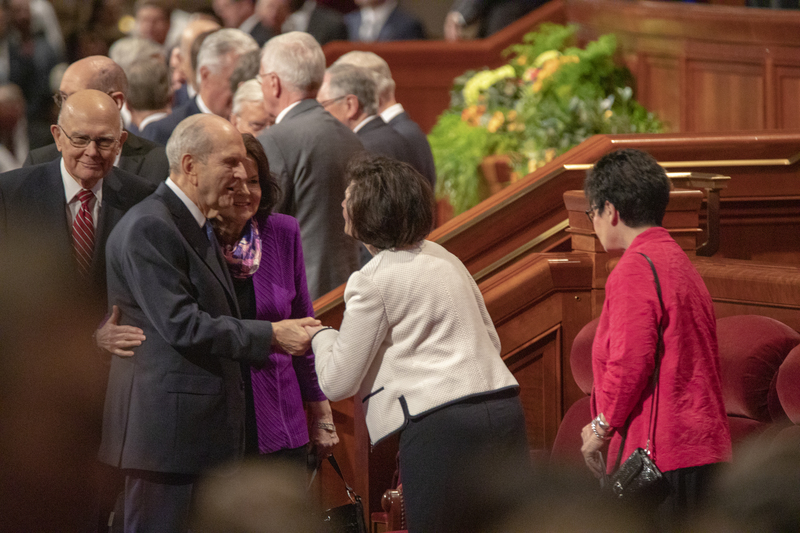 The concluding speaker was the prophet, President Russell M. Nelson, who talked on returning to Heavenly Father with our families. 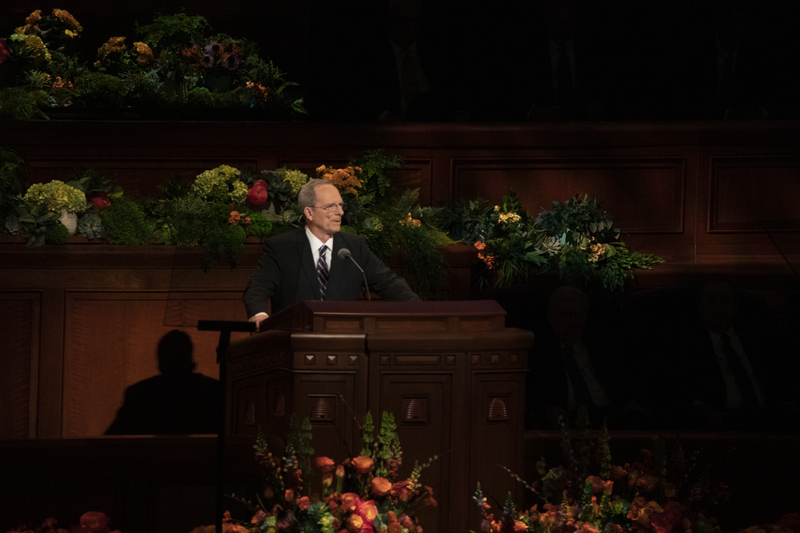 Three months ago, his daughter Wendy passed away, and he shared how he felt during his last meeting with her, and how he knows he will see her again. 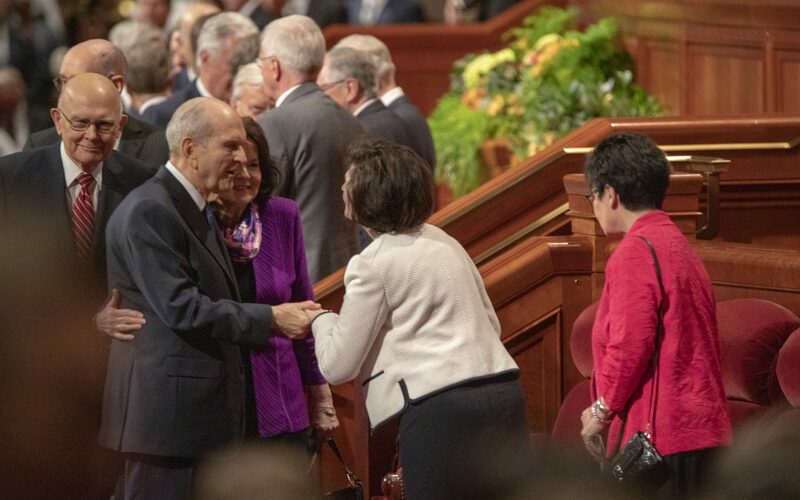 “We qualify for that privilege by making covenants with God, keeping those covenants and receiving essential ordinances,” President Nelson said. He pleaded with us to do the spiritual work and find out for ourselves that He wants us to be with Him again.